Come hook into one of Montana’s hardest fighting and best eating fish! 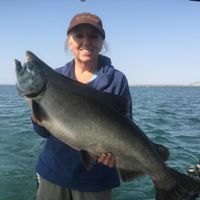 Fort Peck Reservoir is the only place in the state to do this. 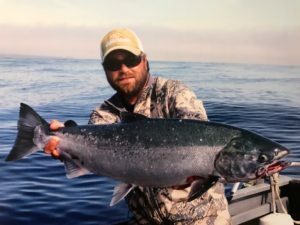 If you are lucky enough this will be a fish that you will never forget! 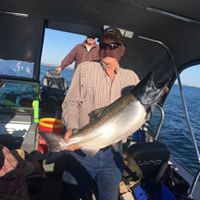 Fort Peck started stalking these Chinook salmon back in 1983. Last year was one of the best years the lake has ever had. This upcoming season should also be outstanding. We mostly run theses trips from August 1 thru the middle of September. 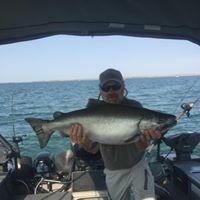 We target these salmon with down-riggers trolling the thermocline of the lake. Large dodger flashers trailed with squid or cisco pattern baits. 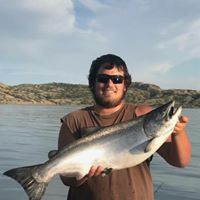 This trip is based out of the town of Fort Peck. We meet and take off from the Fort Peck Marina. Please feel free to give me a call for more information on this trip. 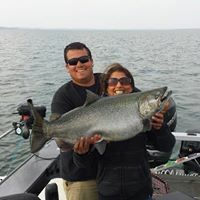 We are the only outfitters in the state of Montana that offer Chinook Salmon Charters.